Move over, skinny ladies, there’s a new jean in town! We’re loving the roomy shape of barrel jeans because they are both comfortable and flattering. Extra room in the hips and thighs should always be welcome guests in your wardrobe. Take a look at the most flattering styles and donate your skin-tight beauties to a good cause. You might have noticed this denim style in last week’s scope of tomboy fashion. 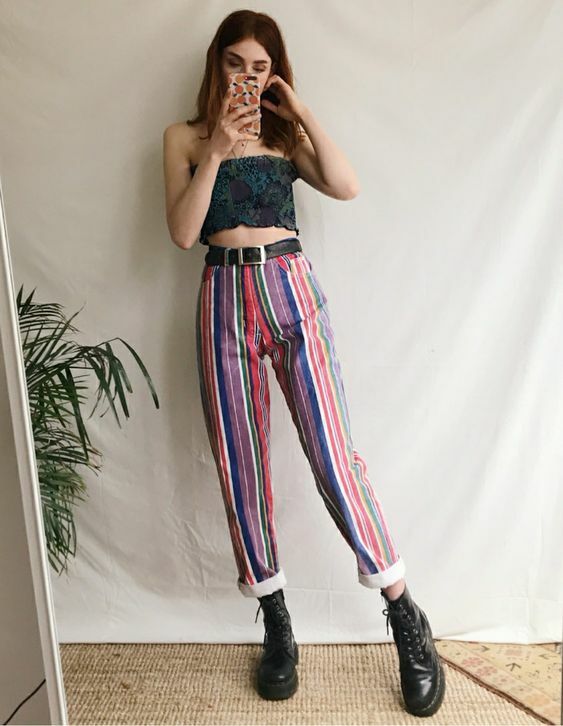 Vintage jeans from the 90s are your best bet when shopping for barrel jeans. Look for styles with vertical stripes or pinstripes to help keep the look lean. The style should be a balance of a high-waist and a shorter hem. Spring has arrived, so you traditionalists can start wearing all-white again (hooray!). The easiest way to rock a head-to-toe look is with a jumpsuit that boasts the fit of barrel jeans. That means high in the waist, slightly roomy though the knees, and tapered at the cuff. Madewell has a cute denim jumpsuit that boasts our favorite puff sleeves, as well. 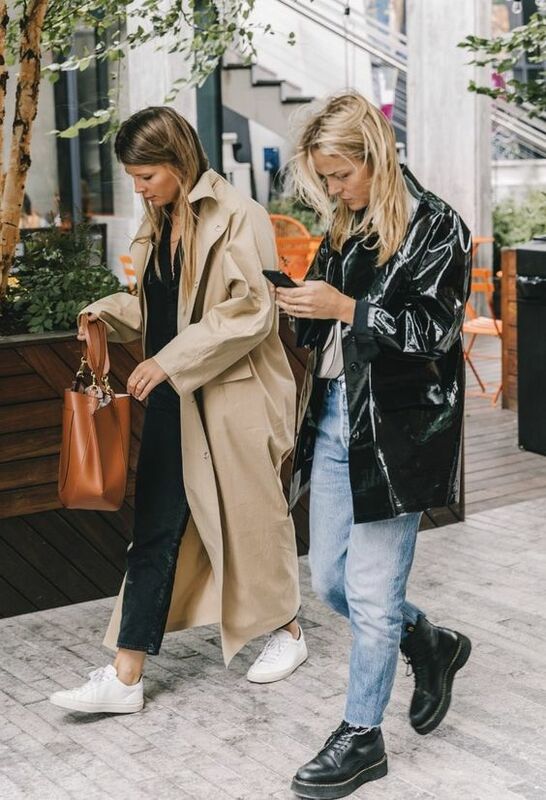 Super cute rainy day style with your favorite pair of Dr. Martens boots. The best thing about this style is that it is super forgiving while still staying flattering. 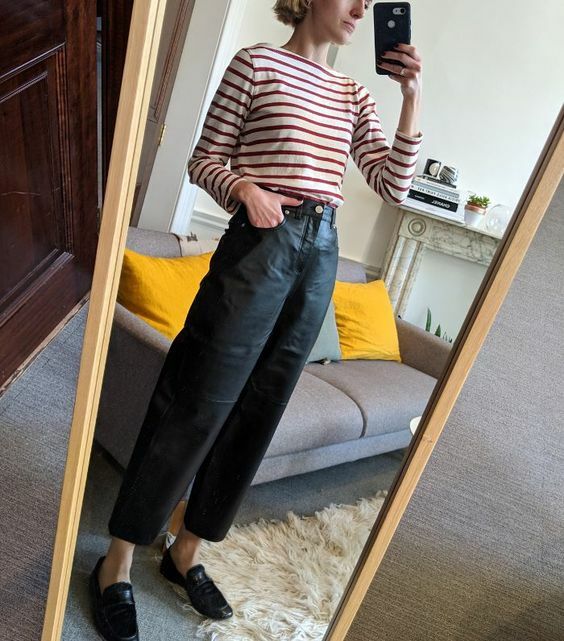 Look for roomier barrel jeans with pleats at the waist if you’ve got wider hips. This style should not feel snug around your hips and thighs. Levis has a great cropped style in dark, medium, and light washes. Accessorize with ankle boots and a matching belt for a look that is comfy and pulled together. 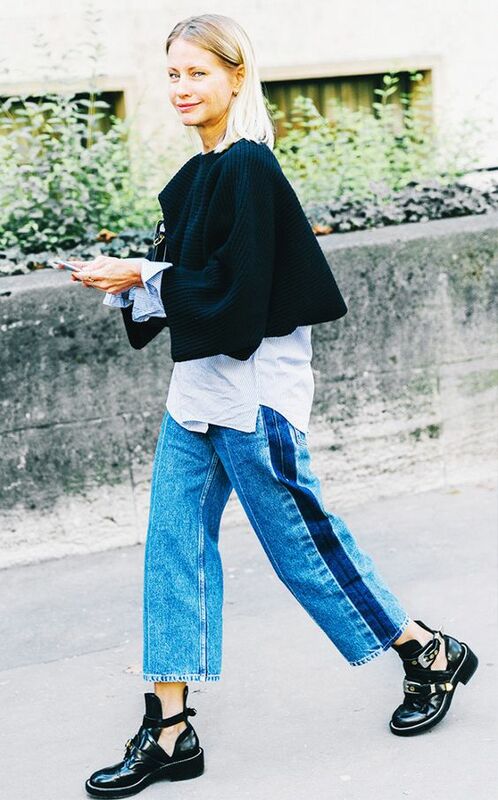 The nice thing about this denim trend is that it pairs well with a tucked-in blouse. 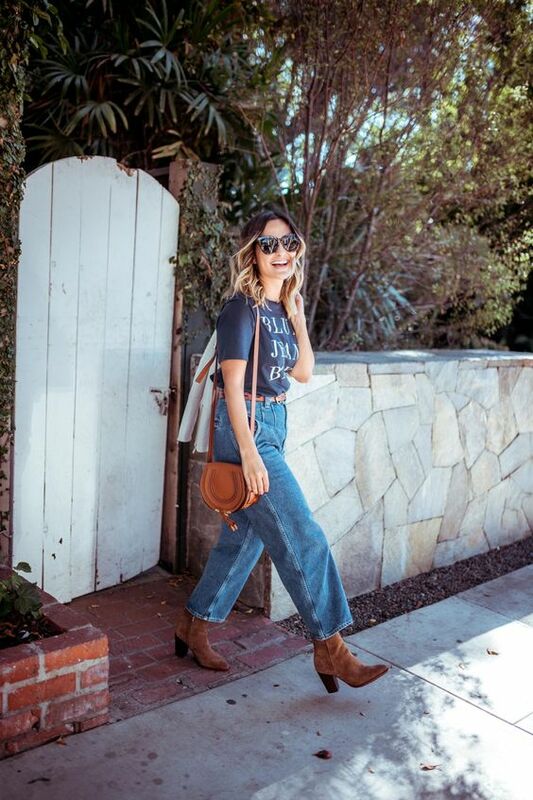 The high waist of barrel jeans gives any work outfit a little extra polish. You can go as wide in the leg as you like – the key is that shape. COS has a bunch of different widths available – you can alter them how you like by rolling the cuff or leaving it alone. 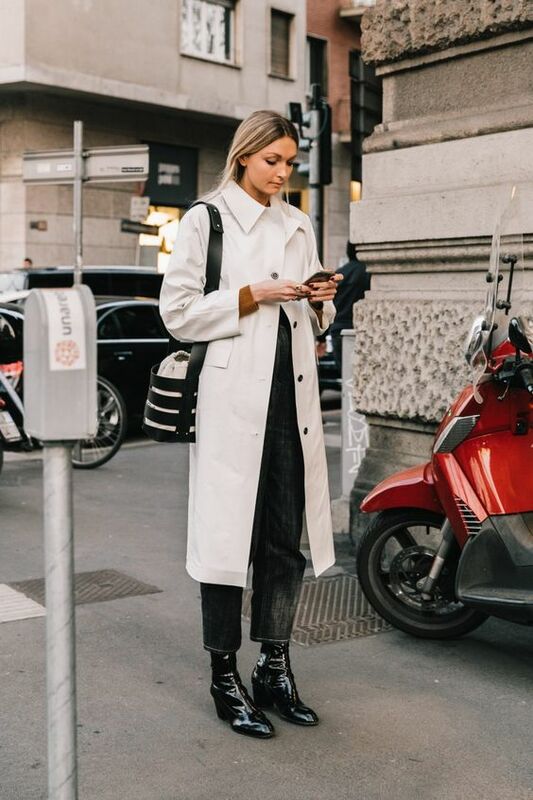 Top with your favorite full-length coat and let that shorter hem show off your snazzy work girl footwear. Make sure to keep things lean and looks for styles with thicker denim. Barrel jeans keep their structure with denser denim weaves that feel like they could almost stand on their own. The legs should curve out slightly and not be straight. If you fall in love with a straighter pair, enhance the curved look by rolling up the cuff. Denim on denim looks especially smashing in beige and eggshell white. 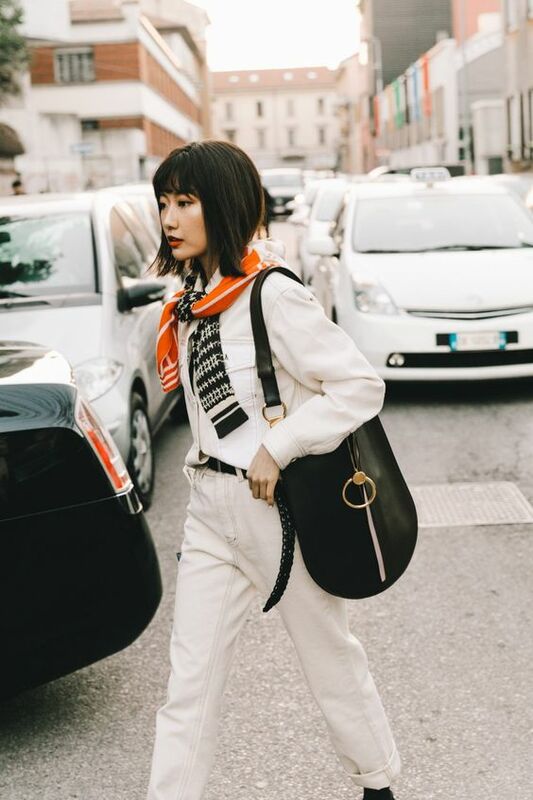 If you’ve been following along with our travel guide to Paris, you will know we got a recent dose of that French girl cool. A darker pair of barrel jeans looks dashing with a long sleeved top in stripes. Whistles black barrel leg jeans have the right waist and the perfect shape. For warmer days, add a pair of loafers and keep the accessories to a minimum. Top off the look with our favorite curly bob hairstyle to win points that take you to the bonus round. We’ve been anxious to find a new style that could properly take over the boho look. The introduction of barrel jeans makes our fashion transition complete! We love the fit and the style takes everything we love about pant styles and incorporates them into one fresh flavor. YUM.